There’s a joke in the model railway world that a layout is never finished. Modellers always find something else to do. Perhaps I should have thought of this when I said in a recent blog that the electrics on Thomas and Sons were complete. A few days after writing the blog, I thought of something else to do. I’d intended to have a separate control panel for the switches that control the point motors. Then I realised that if I built them into the baseboard it would be tidier and make the layout easier to operate. So…. 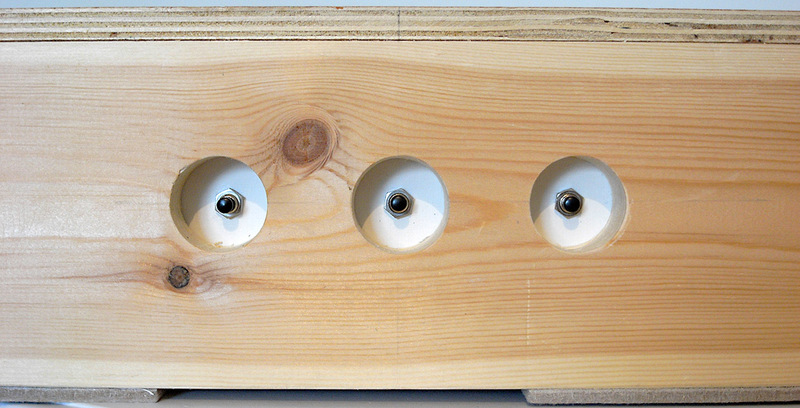 I mounted the push to make switches onto a piece of plywood, drilled three 32mm (1¼ inch) diameter holes in the side of the baseboard, and positioned the switches behind the holes. 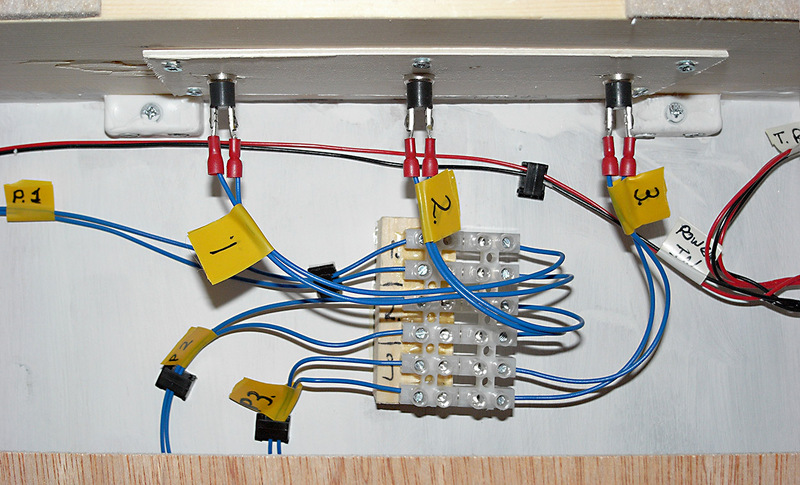 Finally, I connected the switches to the point motors via a ‘Plug and Socket Connector’ (the blue wires in the photo below). To operate a point motor you press the appropriate switch on the side of the baseboard. MY TRACKWORK AND CLEARANCES WORK ISN’T! HOW TRUE THE MAXIM OF THIS POST! Well–I;ve basically “finished” the track arranging on my layout *N scale…excep[t for a few minor connections. Gonna run some trains, before continuing on with other projects. Took me 18 years to find a theme and track arfrangement I liked!